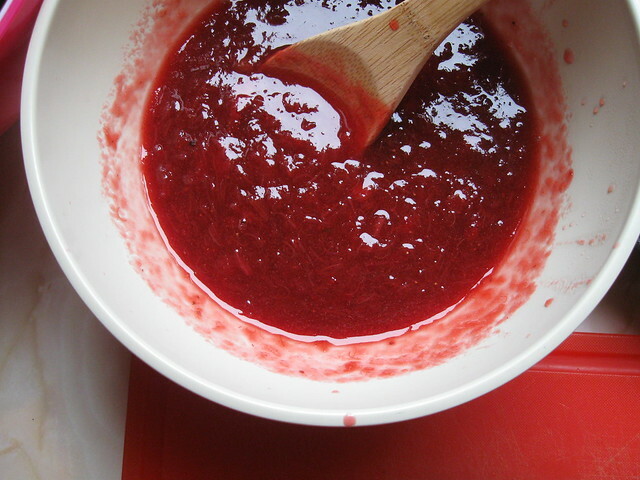 I posted my super simple recipe for strawberry rhubarb refrigerator jam over at Between Three Kitchens; you should definitely check it out if you're into that kinda thing. Have I ever mentioned Between Three Kitchens on here before? It's a food blog that some friends and I share. I wanted a place where I could post recipes without people needing to see all the intimate details of my life too. But I knew I wouldn't have content frequently enough to post on my own, so I invited some friends to join in on the action, and Between Three Kitchens was born. We've been terrible about updating since our 'launch' over a year ago, but I'm hoping to flip that around this year and be more diligent in posting over there. My ultimate goal is to move all my recipes from here over to there, but first I'd like to make them all again to get some new photos and to see if anything needs tweaking. Well, that sounds like quite the project!